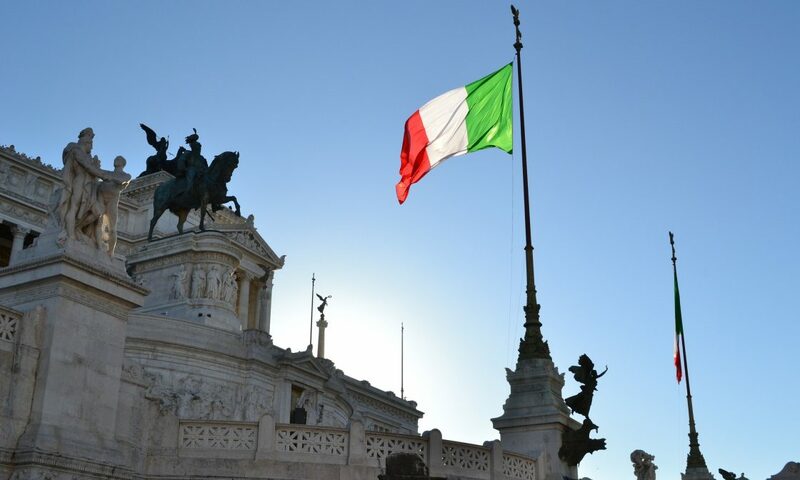 This past Sunday, Italians headed to the polls to vote on whether to amend the Italian Constitution. The exact modifications to the Constitution Prime Minister Matteo Renzi was pushing for were rather complex, however, the main thrust of these changes would be to streamline the legislative system. The current Constitution was drawn up in 1947 after the fall of fascist dictator Benito Mussolini. At that time the government that was devised precluded a concentration of political power in the Executive Branch. This bicameral system placed a great deal of legislative power in the Chamber of Deputies and the Upper Senate…….ensuring a relatively even balance of power in their Federal Government. Prime Minister Renzi has argued that by reducing the power of the Senate and placing more authority with the Executive Branch, he will be more effective in reviving the country’s struggling economy. It was precisely this concentration of power in the Executive Branch that was perceived by many voters as controversial. The Prime Minister was so committed to the successful passage of this Constitutional Referendum that he vowed to resign from office if his proposals did not win the support of the Italian majority. It was his position that without these additional “powers,” he would not have the needed tools in place to cut the government waste and abuse that has plagued the budgetary process for decades in Italy. Many have compared this vote to the impact of Brexit on the European Union. Specifically with regards to the turmoil that may take place if the referendum fails to pass and the Prime Minister makes good on his threat to resign from office. Earlier this year in April, the reforms pressed forward by Renzi passed through the Parliament, but failed to get the two-thirds majority needed to avoid having to go to a national referendum. This alone caused a level of anxiety among the markets. Even as late as the week before the vote, markets had displayed a level of nervousness about the pending outcome. The Euro was at one point down as much as 0.3% against the U.S. Dollar this past Friday, while Europe’s FTSEuroFirst 300 index dropped 0.16%! While no one knows for sure just how much of a long term impact this vote will have on the Italian economy……and more precisely the EU, one thing was certain, the world markets were on pins and needles waiting for the outcome. Not even close! That is how the failure for the referendum to pass this past Sunday is being portrayed. It was a “crushing defeat,” for the Prime Minister and his party. This loss has tipped the EU’s third-largest economy into political turmoil. Renzi’s decision to resign after the vote will no doubt deal another blow to the EU…..which is still reeling from the Brexit vote this summer. Already, the Euro fell to a 20-month low against the Dollar. Markets are now worried that instability in the euro zones third largest economy could reignite a dormant financial crisis……ultimately dealing a hammer blow to Italy’s fragile banking sector. It is also expected that with Renzi’s early departure from office, early elections will have to be held next year. This of course creates the concern of an anti-euro party being strengthened politically. In fact, the anti-EU “5-Star Movement” seems to be poised to gain strength as it campaigned hard for a “No,” vote in the Sunday referendum! Renzi said he would submit his resignation to President Sergio Mattarella this week, requiring the President to begin the task of selecting a new Prime Minister with party leaders. This will be Italy’s fifth Prime Minister in five years. Besides the obvious anxiety that will be created by shaking up the Italian government’s leadership, what else can be expected from the crushing failure of this referendum? One of the biggest immediate casualties from the defeat of the referendum could be the third largest bank in Italy. Bank Monte dei Paschi di Siena is under a great deal of financial stress due to the bad loans held in its massive portfolio and is looking to raise 5 BILLION Euros ($5.3 BILLION) this month alone to stave off collapse! The current political chaos that appears to be underway will most likely undercut the willingness of potential investors to consider stepping in to stabilize the bank. This could mean that it will require a government intervention to save the bank. As in many countries, several other lenders also are badly in need of a cash injection to remain solvent, thus raising the fears of a domino effect. At this point, the risk of a cascading effect of bank failures is enough to have the European Central Bank preparing to step in if needed. Many party supporters of Italy’s membership in the EU actually see the need for the European Central Bank having to “rescue,” the third-largest bank in Italy as a positive thing. It is their belief that such action could go a long way towards reminding the Italian electorate that the EU (and its member resources) are not to be taken for granted. The bottom line is that Italy’s economy will remain stagnated with successive currency devaluations likely. As this trajectory gains momentum, their will most likely be fewer options left for the incoming government to make course corrections to try and steer the economy into a more promising lane. When you add to that, the instability of the Italian banking industry at present and the lack of legislative tools available under the current Constitution to address these concerns…the negative impact for both Italy specifically and the eurozone in general is potentially staggering. We at Mosaica cannot predict with certainty the future for the eurozone or even Italy’s economy. Our position is a simple one. As suggested to our clients before the vote, hopefully you consulted with your Mosaica account representative to hedge your positions as needed. Post-vote…..we would recommend that you stay in close contact with your Mosaica representative if you plan on conducting currency transactions within Italy specifically or the eurozone in general. Next ArticleSo, You Want The Happiest People on Earth for Customers? Denmark is your market!